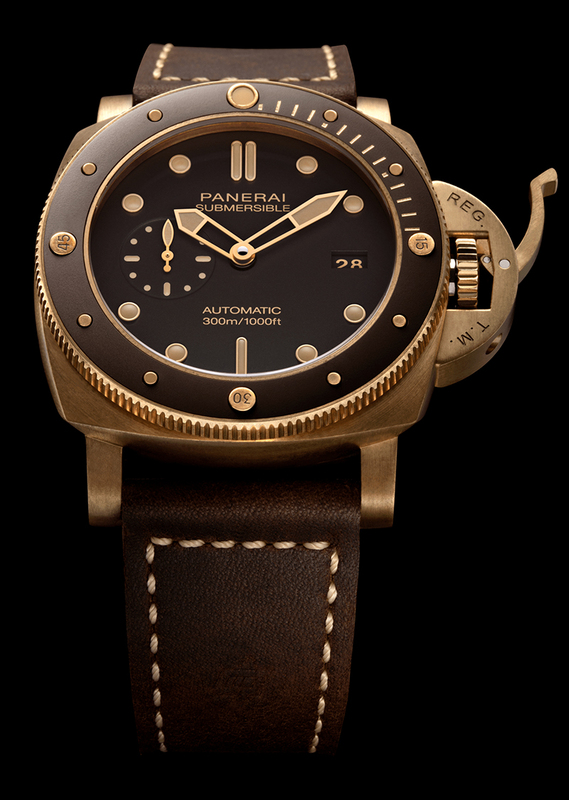 IT COULD be said Panerai ushered in a Bronze Age for dive watches with the release in 2011 of the bronze-cased PAM382 Luminor Submersible 1950 3 Days “Bronzo.” This 1,000-piece model subsequently spawned the PAM 507 of 2013 and the PAM 671 of 2017, all of which enjoyed favorable market reception. 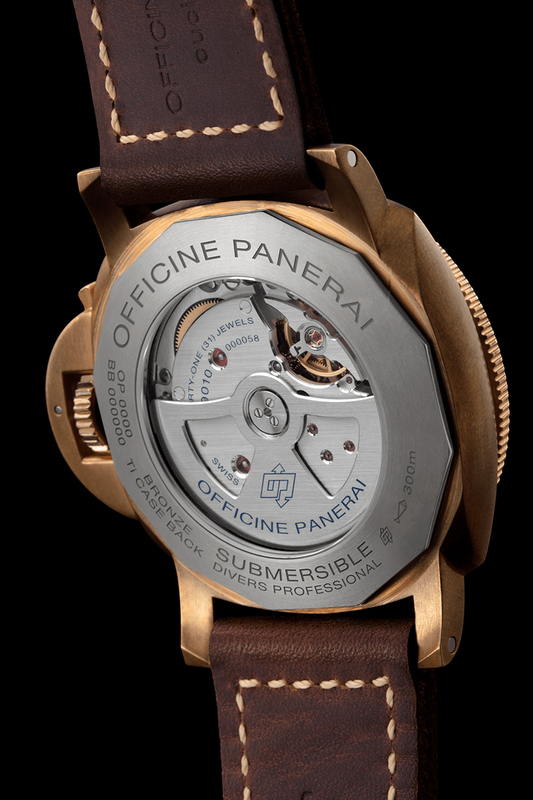 Now, ahead of Baselworld 2019, Panerai announces the arrival of the new Submersible Bronzo. While still housed in the iconic 47-millimeter bronze Luminor case, the new Submersible Bronzo is easily distinguished by its tropical brown dial and a sandblasted brown ceramic disc that has been applied over the uni-directional rotating bezel (bronze, of course). On the dial are color-matched hands, hour markers, subdial indices and inscription. The markings on the bezel have adopted the palette, too, resulting in a sepia-tinted monochromatic look. Well, the watch’s leather strap suitably comes in brown as well (a green rubber strap is supplied, too, promoting a military vibe). 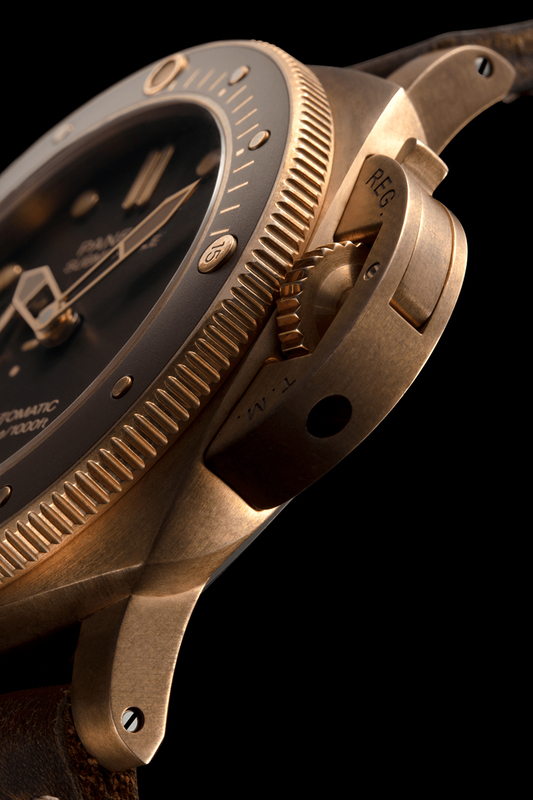 As can be expected, the Submersible Bronzo is water-resistant to a depth of 300 meters — clearly this watch has the brawn to back up its bronzed looks. And, speaking of brawny stuff, it’s Paneria’s in-house, self-winding cal. P.9010 (visible through the sapphire crystal caseback window) that powers this piece. The movement packs a pair of mainspring barrels to allow it three days’ worth of power reserve, has 31 jewels, operates at 28,800vph, and is also fitted with a mechanism that lets the hour hand be adjusted in one-hour increments forwards and backwards, with the act not interfering with the sweep of the second hand. This makes setting the time for a different location quite easy. Its other features are just as solid: a balance mechanism secured in place by a bridge with twin supports, and Incabloc shock protection. 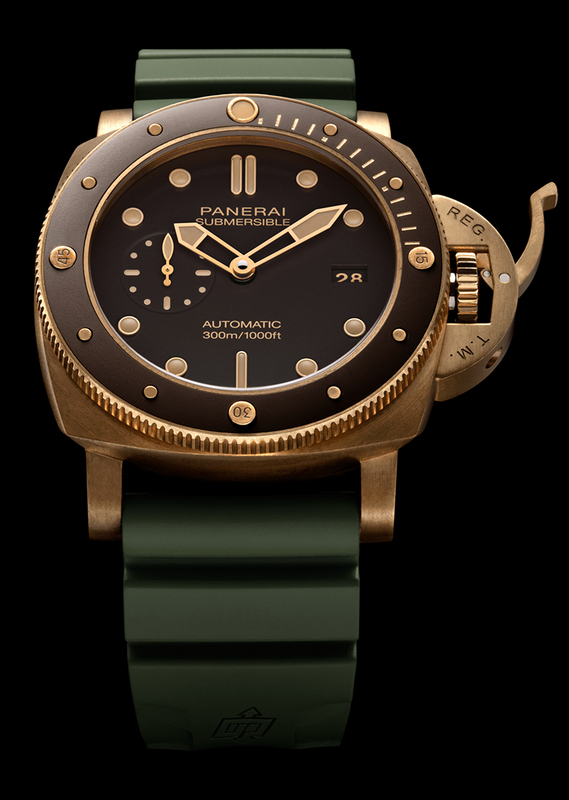 Of course, as a bronze-cased beauty, each Submersible Bronzo is guaranteed to develop a patina uniquely its own. Meaning no two watches are ever going to look the same. 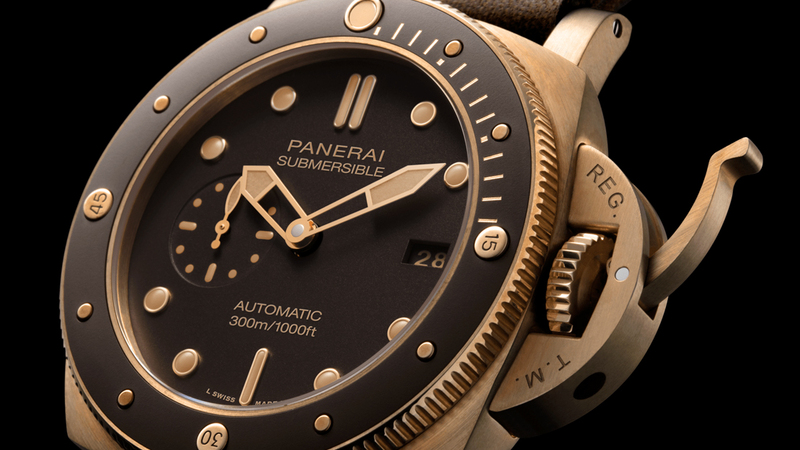 The new Submersible Bronzo is available solely in Panerai boutiques throughout the world, at the brand’s website, on Panerai’s WeChat boutique, and on lifestyle online publication Mr. Porter.